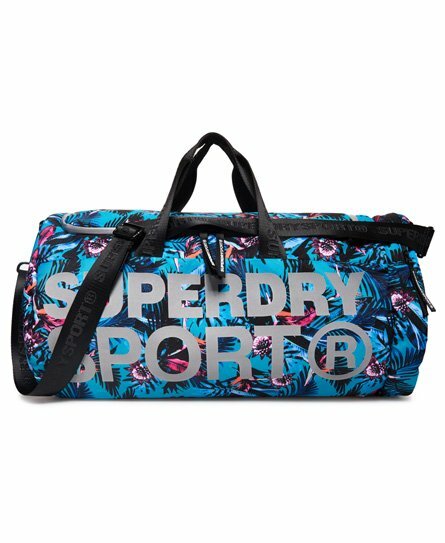 Superdry women's Sport kit bag. Perfect for all your workout and post-gym essentials, this kit bag is a must have. Featuring a large main compartment secured by a top zip fastening, this bag has room for everything, from your headphones and water bottle, to a change of clothes for your post workout brunch. The kit bag also features a smaller zipped compartment at one end, twin grab handles and a longer adjustable strap that can be removed from the bag. The Sport kit bag is completed with a reflective Superdry Sport logo on the front and branded zip pulls.